Squeaky Books: Audiobook Giveaway Hop! To celebrate "June is Audiobook Month" we are joining together with some awesome blogs to bring you this JIAM Giveaway Hop! Each blog will be giving away at least one amazing audiobook, so make sure you check them all out! This blog hop ends June 15th at midnight. 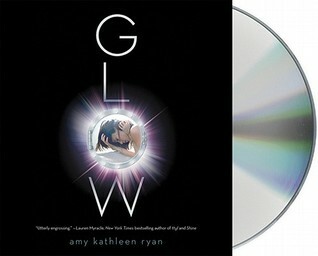 I'm giving away an audiobook (in CD form) of Glow* by Amy Kathleen Ryan! Unfortunately, due to the fact that I can't mail outside of the US, this giveaway is US only. Enter using the rafflecopter below! *In the spirit of full disclosure, I did not like this audiobook/book. I didn't finish it. But as it was the only audiobook I actually had on hand that I could give away... here we are. I've really been wanting to read Glow and I love audiobooks. Thanks for the chance to win! I SO adore audio-books!! Thanks for the chance to win one! !